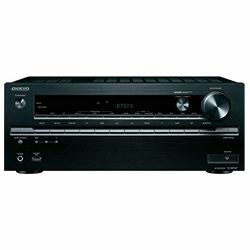 There are lots of AV receivers out on the market, and today I will help you to choose the best AV receiver under 300. Don’t think that if something is cheap, it must be worse than its pricey alternatives. In fact, sometimes the situation is just opposite to what you expect. Of course, most of the receivers in this article have limited functionality or offer worse sound characteristics. 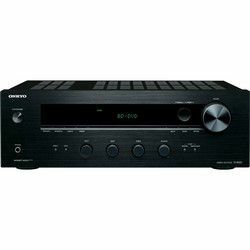 However, if you don’t have any expensive stereo or didn’t receive good grades in music, this is the perfect time for you to choose your best budget AV receiver to upgrade your house. You may notice that later versions of the described receivers are available; however, it doesn’t always mean that the more recent model is better than the older one. In fact, functionality itself doesn’t really change much, so you can be sure that your best budget receiver will stay in trend for quite a while. This model can be truly called one of the best available for this price. Consider this: it recognizes all music formats (including Apple lossless), all decoders of DTS and Dolby families are implemented, and with all that standby power consumption is only 0.1 W! 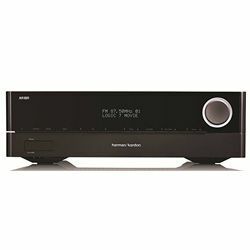 This cheap stereo receiver offers Theater-Dimensional mode for virtual surround sound and performs audio conversion at 32 bit / 192 kHz. The drawback here is output power per channel of 80 W; however, does it matter that much for you if your neighbors won’t hear the sound coming from your flat? Amazing wireless connectivity – it supports Bluetooth, WiFi, and IEEE. Smartphone remote control is cool; it managed to turn on the receiver and set up volume and other parameters without any issues. Six HDMI inputs at this price range are what I wanted. Just be aware, hybrid speaker wire plugs for bare wire connection are weird; it’s better to use banana plugs instead. The UI needs to improve; I find it quite bizarre and a bit inconvenient. I ‘m not at all impressed with the screensaver design. 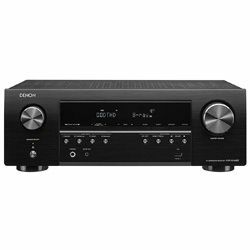 The newer Onkyo TX-NR585 is actually not that different from the Onkyo TX-NR575, which some may call the best receiver under 300. I would say that Spotify and Pandora support, which was removed from the previous model and implemented here, is its most significant improvement. Also, the output power per channel was almost doubled — to 170 W, and it is one pound heavier than the older model. 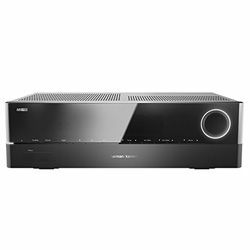 This potentially best budget receiver is an ideal choice if you have a big house that is full of electric appliances, and you don’t want to spend any extra money on electricity bills, but still want clear home theater sound. As you could guess, the biggest advantage I find in this receiver is its operation power consumption of 260 W. The fact that despite this it has 115 W / 145 W / 80 W output power per channel was a pleasant surprise. 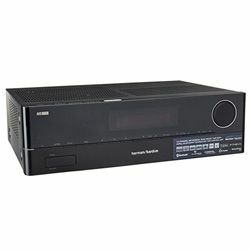 The receiver has great connectivity with Bluetooth, Wi-Fi, and IEEE support. It has a 3D processing feature (which I see it quite rarely at this price) and can offer you a range of surround sound effects: CINEMA DSP 3D, SILENT CINEMA DSP, Virtual CINEMA FRONT or Virtual Presence Speaker. 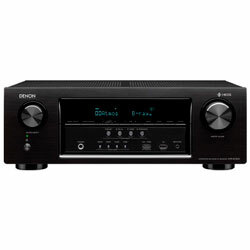 I would call this receiver the best home theater receiver under 300 just for such a great choice of stereo effects. This model’s microsystem performs great automatic calibration of relative speaker volumes, no need for extra actions. You can customize some of the buttons: red/green/yellow/blue. I didn’t like that you can’t continue watching a film while changing settings — the system menu blocks it. Maybe I am a bit picky, but the directional buttons are strangely recessed, and I find it weird. After this model, Yamaha introduced the RX-V485 with some updates. For example, with this model, you can connect two separate sets of speakers (I connected both my indoor and outdoor ones and both work perfectly fine). The 5.1 surround system class lets you play music from Spotify or listen to a favorite streamer in a new way. The drawback I was upset with was that you can’t pair Bluetooth headphones with this device. 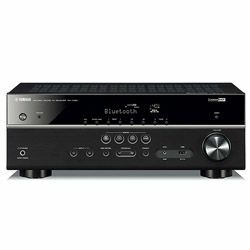 This potentially best 5.1 AV receiver under 300 suits someone who is not looking for something fancy but requires a cheap alternative for better sound. 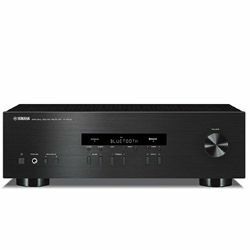 With Denon AVR S730H you can listen to the radio on a new level, your USB stick with WAV and MP3 will upgrade your music, and you can listen to all of these through Wi-Fi or Bluetooth, as desired. The operational power consumption of this device is 400 W with the output power per channel of 165 W max, which means that you will be able to hear every word in the dialogue. 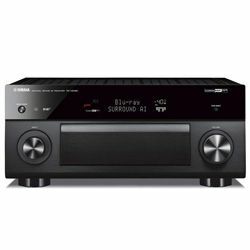 Of course, this receiver is less advanced than the above-mentioned models — for example, it doesn’t have a smartphone remote control, Dolby Digital Plus or Apple lossless recognition. 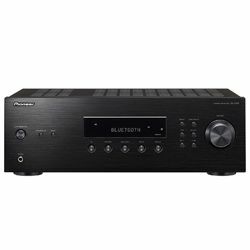 Other features, like Dolby Atmos, Dolby True HD, and the whole DTS family are in place, and this is a good receiver for the price after all. I really liked that this receiver can be linked to HEOS, this way you have more possibilities. You can name each input to distinguish them. Full HDMI support; six HDMI inputs are essential when you have a lot to connect. The physical remote is awful: the buttons are quite hard to press, and you need to do it several times for the receiver to perform an action. Inconsistent volume levels, sometimes 65 can sound like 45 and so on. No clue why it does so, but these jumps are annoying. 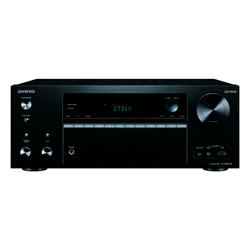 The Denon AVR 740H is an upgraded version of the above-described model. One of the disappointments for many people was that it still has only one HDMI output. Another disappointment is that the UI looks like from the 1980s and is not really convenient. Its only advantage is a remote app, but for me, it is not enough to remedy the disadvantages of this model. I would say this is an excellent example of how the potentially best AV receiver under 300 can still be better than the later version. 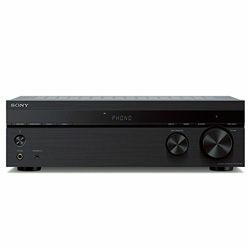 The Sony STRDH550 may be the best budget home theater receiver for someone who doesn’t require more than long-lasting basics. 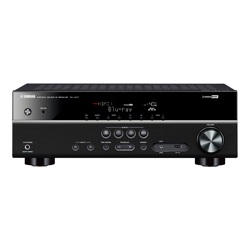 This receiver doesn’t have any connectivity interfaces, however, has a perfect signal processing with 3D pass-through, and HDMI-to-HDMI scaling, analog-to-HDMI upconversion. As a bonus, it has a USB port but no network media sources available, so if you love watching Netflix, you will have to choose another model. You also need to be careful with this receiver as it doesn’t have an auto power off function so if you forget about it, the receiver will remain in a standby power mode all the time and will consume power. It’s not much (0.3 W), but still not very pleasant. The shuffle function is available and can be customized – you can do it either for a folder or a whole playlist. I loved the remote, it has all the necessary buttons that are conveniently placed. A headphone jack automatically mutes all of my speakers. I tested it and came to the conclusion that this is not 4K pass-through as they announced. It’s adequate, but still not good enough. No light indicators to inform you what is on and what is off. The speaker buttons are quite hard to feel. HDMI pass-through doesn’t work without AC power. The new Sony STR D590 has HDR pass-through with Dolby Vision included, Bluetooth connectivity, and you can remotely turn on/off the receiver from a smartphone paired to it. Are these changes worth extra money? If you are one of movie lovers and HDR matters to you, then don’t hesitate. However, if you don’t have any Bluetooth speakers and just use the TV all the time, there is no need to pay more. Pioneer VSX-532 may not seem too good from the first glance, but, actually, all features needed are in there so don’t judge without a deeper look. Your MP3, WMA and DSD music formats will be recognized, Dolby Digital Plus and True HD sound will please you while you are watching a movie, and 4K HDMI upscaling is the cherry on top. It also has a USB slot, four HDMI inputs, and two AV inputs. It has a great option to connect devices via Bluetooth too, so the number of inputs is not a limit. 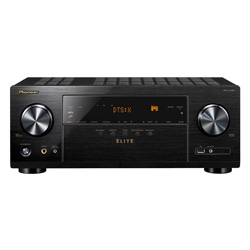 Unfortunately, this model may not be for you if you want the receiver to be compatible with your Apple Music - Pioneer VSX-532 doesn’t have an Apple AirPlay support and can’t recognize Apple lossless. It also doesn’t have a remote app, so you need to keep an eye on your physical remote constantly. To sweeten up a bit, you can go to bed while listening to your favorite tracks – this receiver has a built-in clock and a sleep timer. I found out that it switches on automatically when you turn on a Blu-Ray player or other connected device. Lots of listening modes, my favorites are plain stereo and the Ext stereo mode. Other sound modes are a bit comical to be fair. I have a Samsung TV and found out that there are switching problems due to HDMI/CEC conflicts. This Onkyo model will definitely boost your home cinema. The device with eight HDMI inputs and two outputs to connect everything you need, 100 W / 170 W power output per channel to boost volume by several times, and Dolby-family built-in decoders is ready to serve you for the next couple of years for sure. Audio D/A conversion is pretty fast and performs at 32 bit / 384 kHz. It has a great connectivity interface, you can easily connect devices via Bluetooth, USB or Wi-Fi, so if you are the owner of Bluetooth speakers, this model is definitely worth considering. The only enthusiasts who won’t like this receiver are probably fans of DTS decoders, since only one decoder from this family (DTS:X) is implemented here. I can also note that it has amazing standby power consumption - only 0.1 W as declared. Taking into account all the features it has, I expected a bigger value. So, don’t worry, even if you forget to turn it off (unfortunately there is no option for auto power off), you won’t pay much for this. Far-reaching sound: I was able to hear the music from 12 m away (on 68 volume). Special thanks to Onkyo for a nice GUI. It is simple and set up doesn’t take a lot with explanations given. The layout of buttons on the remote is fairly logical. While testing, it asked me to update it several times, and there is no option to delay the update. It’s annoying if the update comes in the middle of a scene. Somehow composite inputs don’t support HD signals. 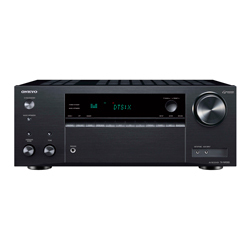 The new Onkyo TX-RZ630 is pretty much similar to the older model. The only valuable thing they added is a three-zone capability with the settings for the third zone and SONOS compatibility. 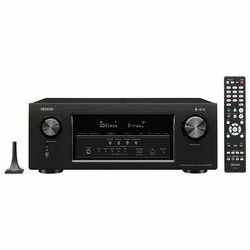 So if you use advanced home cinema speakers, you might need an upgraded Onkyo TX-RZ630, otherwise, I am sure you will love the Onkyo TX-RZ610. This Yamaha model is superb for someone who loved to use receivers as a digital player and go to a real cinema on weekends or so. The RX-V379BL can recognize AAC, DSD, MP3, WAV and WMA audio formats, has three built-in decoders (DTS-HD Master Audio, Dolby Digital Plus, and Dolby True HD) and not at all power consuming (only 260 W). There are five channels available to you with a maximum power output per channel of 130 W. Also, this receiver has a quite low signal-to-noise ratio — 106 dB, which is quite good for a low-tier receiver. If you have Bluetooth speakers, don’t worry — the Yamaha RX-V379BL is Bluetooth compatible as well, though if you want to connect something via Wi-Fi, you won’t be able to do so. Apple devotees should be quite upset, as it can’t recognize Apple lossless or be integrated via AirPlay support, so if you want to enhance the playlist on your iDevice, this receiver is not for you. The good thing is that it has a sleep timer available, but if you forget to set it up, don’t worry – it will turn itself off automatically, when needed. Have a play with Cinema DSP modes; they are amazing for your TV sound. A separate HDMI port that supports HDCP 2.2 content protection, for 4K videos. I was not happy that I got only two banana plug inputs out of five. The Yamaha RX-V385BL that appeared later, received a bi-amplifying connection, a special app for AV setup and Rich Bass Reproduction technology that gives extra power to front speakers in order to enhance bass. The only drawback of this model is that the bottom of the Yamaha RX-V385BL goes several times hotter than the Yamaha RX-V379’s one, so you’d better place it on a TV shelf to avoid burning your hands! However, do you listen to basses that much in order to choose this model instead of the V385BL? This potentially best budget receiver can easily become your home favorite just after little use. The features it offers will please even an advanced user, let alone unpretentious ones. It can recognize all audio formats apart from AIFF (though I doubt you have it in your ordinary playlist), has all Dolby and DTS decoders built-in, and 145 W output power per channel that boosts up the volume in several times. However, here comes the drawback – it consumes a lot of power, be ready that while operating it will consume roughly 700 W, and 300 W in a standby mode. Don’t worry too much though – it powers itself off automatically, if needed. Unfortunately, there is no smartphone remote control feature and no Wi-Fi compatibility, so I doubt it’s possible to connect anything apart from Bluetooth speakers remotely. Nevertheless, this is one of the best receivers by far that is both budget and suitable for a range of things, from Internet radio to hi-tech 3D movies. I loved the 5.1 sound, it really boosted my TV (though I am not an audiophile). Small size; I’m really grateful to Sony for it. There is no support for HDMI CEC, so you should keep an eye on the remote all the time. The Pioneer VSX-932 will suit you if you are one of the huge music fans who wish to have a play with extra features while watching a film or listen to music. This model can recognize all audio formats, has all possible decoders built-in (apart from Dolby surround for some reason) and consumes not much power at all (0.1 W standby / 480 W while operating). Signal processing is worth talking about separately. HDMI upscaling up to 4K, 3D pass-through, 100 dB signal-to-noise ratio and 0.08 % total harmonic distortion make this AV receiver to be a good match for all smart TVs. ASR technology, Bi-amplifying, and pure direct mode will give you a new level of movie experience. Choose the Pioneer VSX-932 and you can be sure it will stay in trend for a long time. 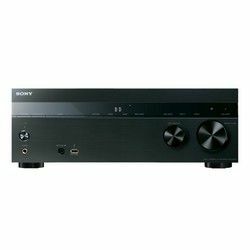 I liked that this receiver can support my 4K-ohm speakers. Main A/V amp feature is really good, the sound is intense as desired. It’s quite heavy, and bigger than I expected. Onkyo TX-SR383 can suit someone who needs to upscale the sound a bit. It can’t recognize a good half of audio formats available nowadays, however, it can Dolbytise your sound depending on your needs (Dolby digital plus, Dolby surround, and Dolby true HD decoders are built-in). The fact I admire is that despite rather high for this class of receivers output power per channel (100W), its operational power consumption is only 270W. Add it to total harmonic distortion of 0.08 %, 7 channels, and 106dB Signal-to-noise ratio and you will get a full picture of how everyday receiver for any purposes should look like. Impressed with the ARC that this receiver has, installation was easy. The volume is automatically adjusted with your TV and the device turns off/on with your TV as well. Unfortunately, you need to switch the inputs manually via remote. Have you ever dreamt of the best AV receiver under 300 that can support all audio formats, has all possible decoders built-in, and has high output power per channel and little power consumption? Then congratulation to every owner of the Pioneer VSX-1131! 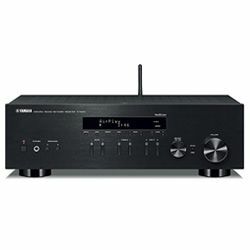 Apart from all described above, this AV receiver will also please you with a great frequency response range of 10 Hz-100 kHz, nine channels, 106 dB signal-to-noise ratio, and seven HDMI inputs that are ready to connect to your home cinema system. This receiver has high compatibility and can connect to devices via Wi-Fi, Bluetooth or IEEE. It also has extra features like a smartphone remote control, Dual-zone capability, and a sleep timer, so you can fall asleep while watching your favorite TV series. Overall, this is a superb choice that I would advise everyone to consider. I managed to get the Ultra HD Blu-Ray picture with excellent sound, and I was really impressed by it. The built-in Chromecast audio feature allows you to power up your music, test it yourself! Takes ages to connect my phone to it, it should be about 30-40 seconds but feels much longer. Runs hot if you have speakers that are lower than 6 Ohms. If you got really confused by a lot of info coming through your mind right now, don’t worry — I have created a comparison chart for you that summarizes all above-described data and will help you to make the right choice. However, before you start comparing, just don't forget to ask yourself what is the main reason for you to buy the receiver, select two or three features that you need, and compare based on those first. I hope you will find your ideal AV receiver under 300!